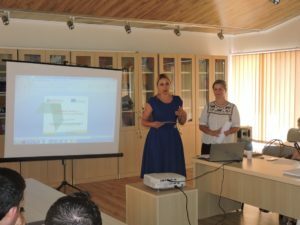 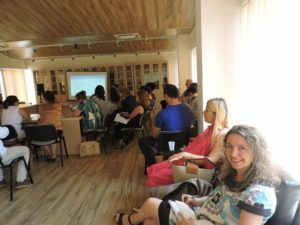 The Albanian Erasmus+ Office organized on June 30th, 2017, the regional “Info Day for Erasmus+” held at the Vlora Youth Centre. 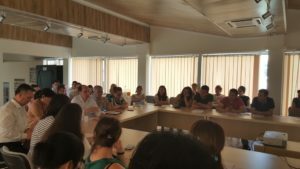 This event was attended by NEO staff, EU Delegation staff as well as over 40 students and lecturers of the University “Ismail Qemali”. 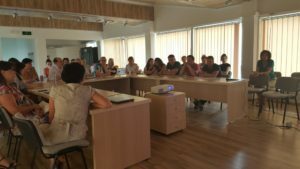 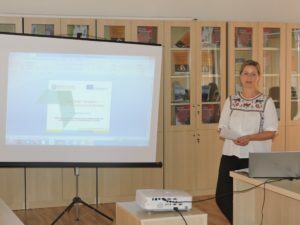 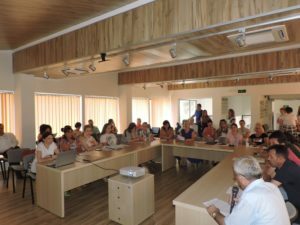 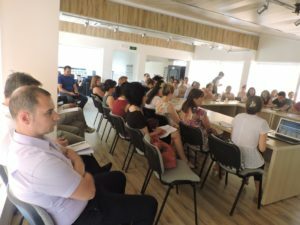 This event served for promoting the Erasmus+ programme opportunities to the present lecturers and students and for informing the participants on the newly launched Erasmus + “My Europe” essay and fine art competition. 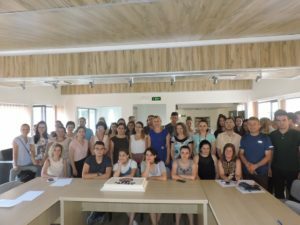 The 30 year anniversary of Erasmus programme was a recurring theme of the info day, which was also celebrated with the traditional birthday cake. 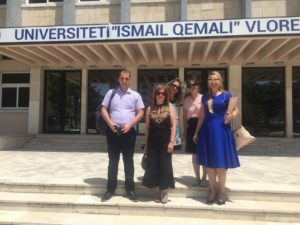 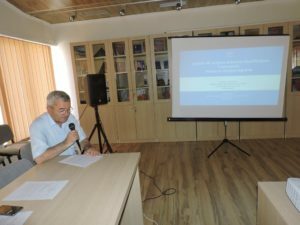 The Albanian HERE team (Higher Education Reform Experts) in cooperation with the Albanian Erasmus + Office and the University “Ismail Qemali” organized on June 29th, 2017 at the Vlora Youth Centre premises, the seminar on the “Reforming study programmes based on learning outcomes”. 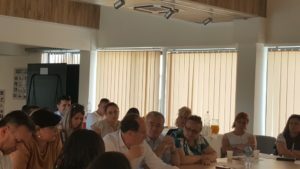 The seminar served the reflection and discussion among more than 40 academic staff, EU delegation representative and experts on recent developments regarding Albanian Higher Education Law and National Qualification Framework requirements on study programmes, link between learning outcomes and competences, transversal skills, research based learning etc. 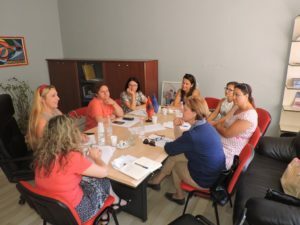 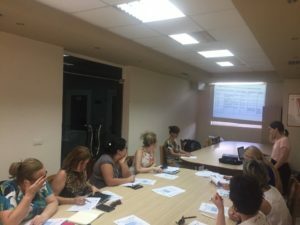 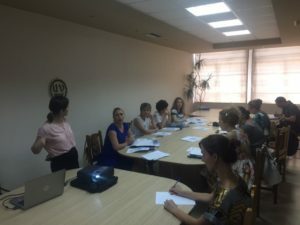 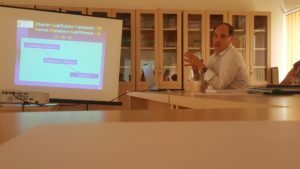 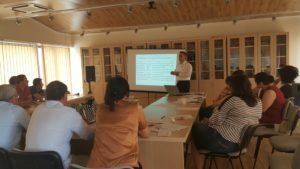 The NEO + staff conducted the field monitoring visit for the Erasmus+ CBHE project “Enhancement of HE research potential contributing to further growth of the WB region – Re@WBC”. 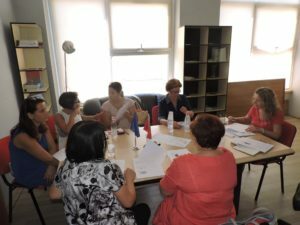 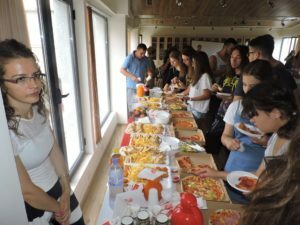 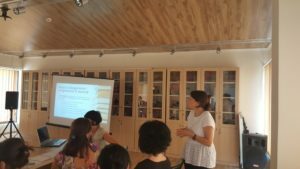 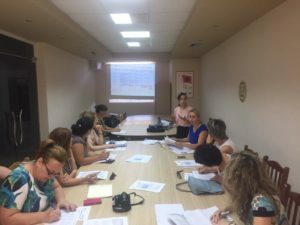 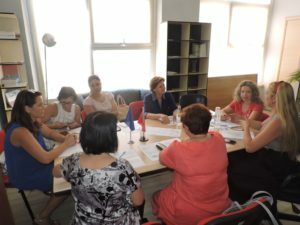 This activity was conducted in two separate meetings, the first held at the University “Ismail Qemali” of Vlora premises, on June 29th, 2017, and the second held at the Albanian Erasmus + Office in Tirana, on July 4th, 2017. 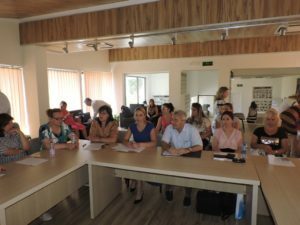 The 3 year (2015-18) Re@WBC project aims to enhance the management of human research potential at WBC region universities, in line with national and EU strategies for researchers. 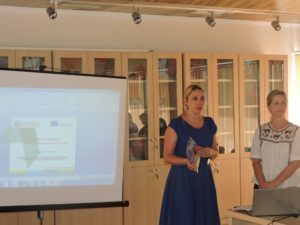 The project is coordinated by the University of Nis, in Serbia and involves 12 partner institutions from the region countries: Serbia, Albania, Bosnia & Herzegovina, Montenegro and from EU: United Kingdom, Belgium and Italy.